Are you a construction project manager looking to learn and grow with a reputable, stable, family-owned commercial construction management firm? Are you a dedicated, hardworking, resourceful individual with a “whatever it takes” attitude and excellent follow-through skills? Would you like to be a valued member of a loyal, passionate, and fun team of highly experienced managers? Are you happiest and most successful in an environment that offers extensive responsibility and autonomy paralleled with an opportunity to be mentored by some of the most skilled and knowledgeable leaders in the industry? Perhaps you’re the new project team member we’re looking for. Fortunato Construction Group is currently seeking an assistant project manager looking to develop their skills and career in the private commercial construction sector. The successful candidate must possess a Bachelor's degree in a construction management related field or equivalent combinations of technical training and experience. The ideal candidate has 1-4 years of experience with knowledge of budgeting, design, and estimating, scheduling, purchasing and overall project management. This position will provide management direction for 2-3 projects at a given time. Strong verbal and written communication skills are required. Candidates must have strong computer skills and experience with MS Project, Word & Excel. Timberline & Procore experience a plus but not required. We offer competitive compensation, health insurance and a 401K program. For a better understanding of our organization, and what it is like to be part of our team, please visit our Careers page. 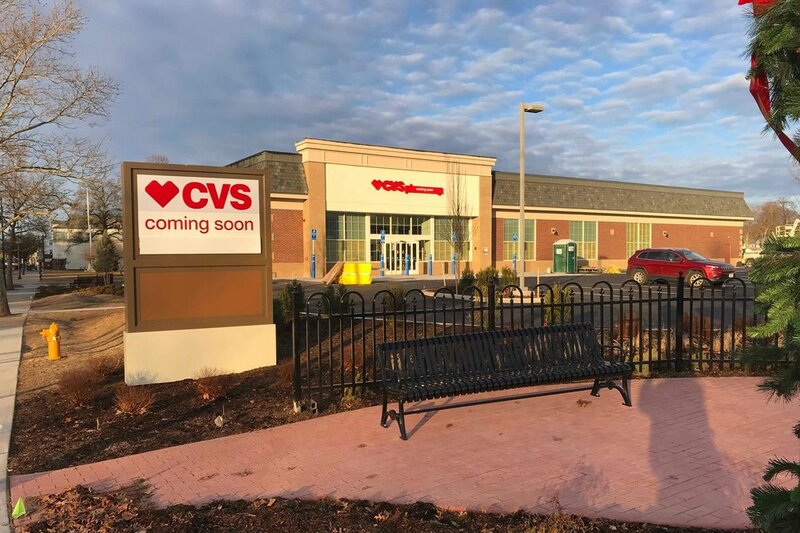 CVS in Manchester is almost ready to open it’s doors to the community! Wishing you and yours the very best this holiday season. From all of us at Fortunato Construction Group! We’re making progress on the major renovation project at TOMZ Corporation in Berlin, CT! If work isn't fun, you're not playing on the right team! We all love our FCG gear so much that it's become a bit of a casual Friday "uniform" for us. 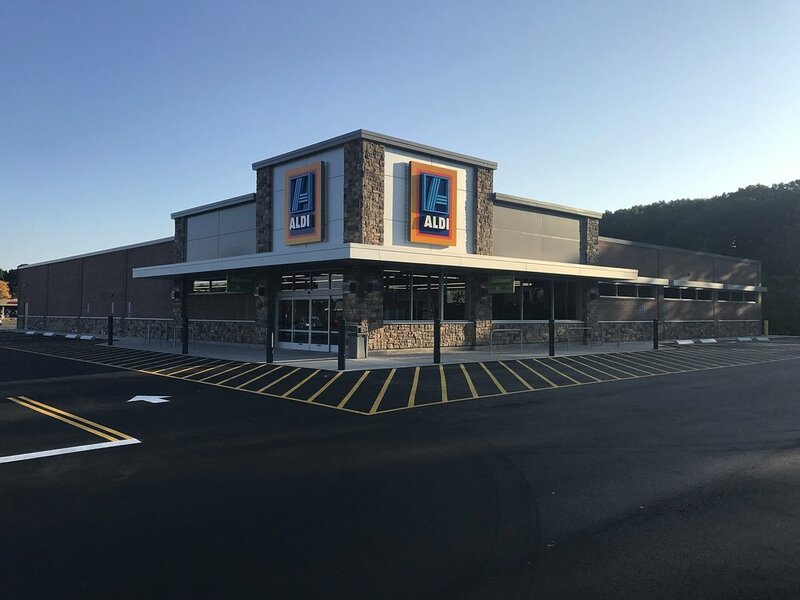 Fortunato Construction Group, led by the project team of Mike Donnelly and Pete Drane, just completed another brand new Aldi location. This new ground-up store is located on Queen Street in Southington, and is expected to be a very successful new location for Aldi. Legrand North America, the Wiremold Company, has fresh new digs in West Hartford, Connecticut. This recently renovated industrial office space includes open work stations, various conference and collaboration spaces, and creative design space. The office serves as a showroom, featuring many of Legrand's own light and data products. We're proud to partner with this global organization who has worked for more than 25 years to transform spaces where people live and work. See our Corporate page for more photos and project details. You know we were incredibly satisfied with your team’s work in 2009 when we gutted the main part of our building and performed a total transformation of it. This included installing an elevator, new HVAC, new electrical and lighting, creating the commercial kitchen, new bathrooms, modifying the interior layout, and new exterior walls. Working with Bob Piazza to price everything for us and advise us on the decisions we needed to make was a great experience and helped us make sure we could stay in budget. The construction manager process really worked well for us. I believe we had over 150 change orders, and we got more done on that project than I ever thought possible. Bob and site foreman, Russ Rushon, always handled everything with a smile. "I am pleased to announce the promotion of Nick Chmura to the position of Project Superintendent. Nick joined FCG in June, 2014 as an assistant superintendent and has successfully completed a number of projects including Bob’s Discount Furniture in Pittsburgh, PA, Aldi in Nazareth, PA, Sedona Taphouse in Mamaroneck, NY and Petsmart in Berlin, CT, among others. Nick is currently finishing the Wiremold / Legrand project in West Hartford. Nick is a graduate of Central Connecticut State University. Please join me in congratulating Nick on this achievement and recognition." "A Grocery Chain many Americans have never Heard of is About to be One of the Biggest in the US"
We're proud to be partnered with one of America's fastest growing retailers, with which we share many of the same values and commitments to quality, fair pricing, and sustainability. Aldi is on the rise--are you shopping there yet? Check out some of our most recently completed store locations in Groton, CT, Nashua, NH, Derry, NH, Plaistow, NH, Vernon, CT Middletown, RI, Salem, NH, Danbury, CT and Enfield CT. Keep an eye out for progress on our current sites in Southington, CT, Newington CT, Cranston, RI, Torrington, CT, Brockton, MA and Rocky Hill, CT! An Aldi store its on its way near you! For more information about Aldi and the explosive growth this retailer is experiencing, check out this Business Insider article by Hayley Peterson: "A Grocery Chain Many Americans have never Heard of is About to be One of the Biggest in the US"
This timelapse video shows a recently completed Aldi store built in Plymouth, MA. Fortunato Construction Group was honored by the Greater New Britain Chamber of Commerce on Wednesday May 24, 2017 at Shuttle Meadow Country Club with the Developer of the Year Award for economic development in the town of Berlin. 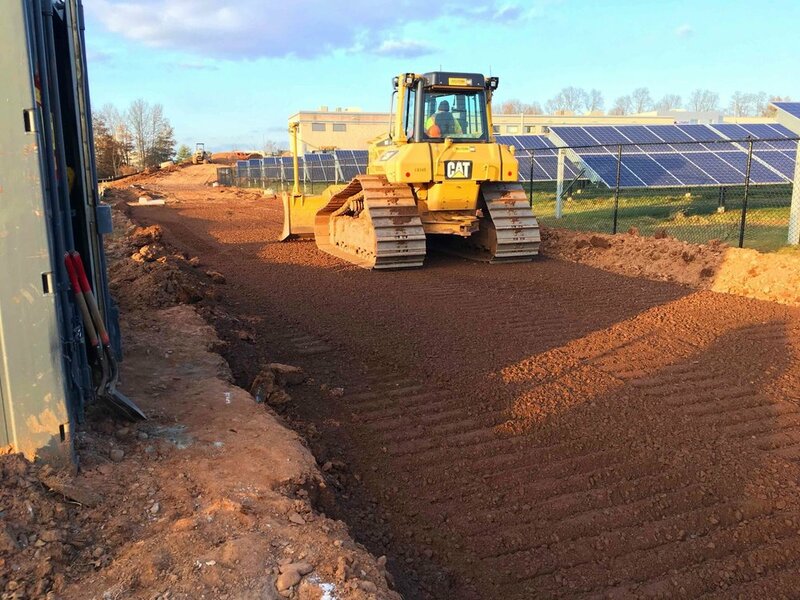 Fortunato Construction Group found it's home in Berlin, Connecticut 28 years ago, and has been a proud member of the community ever since. 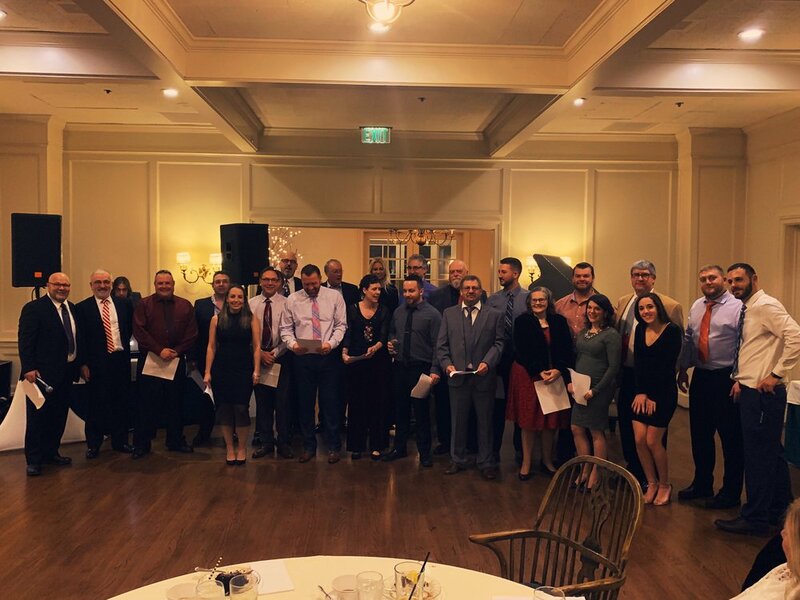 Congratulations to all of the Berlin businesses honored. Companies across the U.S. are using this week to draw extra attention to job-site safety, and our our organization is joining in! Safety culture is at the forefront of our minds at all times, as we protect our team, and the public! Read more about our practices on our Safety First page. We think you're pretty great! We're wishing all of our FCG friends and family a happy Valentine's Day. We LOVE our relationship with you! Are You Designing and Building with Wellness in Mind? The push to make buildings more sustainable is nothing new, as the industry has largely embraced the growing trend. The U.S. Green Building Council's LEED (Leadership in Energy & Environmental Design) certification system is the most well-known name in the space, as there are more than 59,000 LEED-certified projects totaling 6 billion square feet in 164 countries. For those up to a more rigorous, holistic endeavor, there is the International Living Future Institute's Living Building Challenge. Candidates navigate requirements such as the incorporation of biophilic components, the building site's impact on neighboring buildings and the environment and its ability to produce as much — or more — energy than it consumes. The cost-savings component of that program has struck a chord with private and public entities alike. However, another trend related to sustainability is making waves in the industry: wellness. Although less definable than energy-efficient measures, wellness-minded design is growing in popularity as younger generations are pushing for healthier environments in their workplaces and homes. There are several emerging sustainability measures and certifications, but what is the one thing they have in common? It's the fact that "sustainability is mathematically quantifiable," said Dave Hubka, director-commissioning for Transwestern's Sustainability Services group. However, that isn't the case for the budding attention to occupant wellbeing. Some wellness features in buildings are measurable, as evidenced by the International Well Building Institute's (IWBI) Well Building Standard certification. Some elements — like particulates in water or the kind of food being sold in the company breakroom — are measurable, but what constitutes one employee's bliss might be another's discomfort. "Wellness features, it's more difficult to quantify the effects on people," Hubka said. But that doesn't mean business owners, landlords and developers aren’t trying. Indicating the popularity of the health and wellness philosophy, IWBI has found partners in the American Institute of Architects, the Cleveland Clinic, other sustainability certification programs like LEED and design giants like HKS — which are all trying to create healthy environments for occupants. The ever-increasing popularity of healthy living has something to do with it, but that's nothing compared to the sea change that millennials have brought to the wellness table. "I think that it is a kind of milieu we're in, that we're probably going to stay in, driven by younger people who are much more sensitized to everything from environmental issues to sustainability to wellness and quality of life," said John Kirk, architect and partner at Cooper Robertson. Offices are the biggest testing ground thus far, according to Hubka, with features designed to make workers happier, and therefore more productive. Food choices, high-quality lighting, water and air all serve to create healthier, energized surroundings, but employers are also adding those nebulous quality of life components like an open-desk, first-come-first-served policy called "free addressing," window seating, quiet rooms, days off to perform charity work, mindful eating areas and stress and addiction counseling. All considered contributors to wellness — whether certified or not — many of these changes can only be quantified by looking at employee retention, Hubka noted. As millennials and other demographics come to expect healthier workplaces, they're likely going to demand it in their living and other social environments as well. Kirk said that in the past, those in the market for custom high-end residences rarely thought twice about the impact of their building on their living environment, but that's starting to change. Robert Thorne, CEO and co-founder of The Wellness Habitat Company, said many people have started to realize that while their wellness levels have been beefed up at work, diets have changed for the better and exercise routines have gone into high gear, they've been neglecting air quality, toxins, negative-impact lighting and other important health components in their own homes. Through the state-of-the-art systems that can, for example, introduce and circulate probiotics in the air, diffuse homeopathic scents throughout the home at the push of a smartphone button, coax residents into a natural circadian rhythm and create stepped water purification systems, homeowners can create a space that connects the dots of their attempts at a healthier lifestyle, according to Thorne. "Your house now starts working for you," he said. Wellness Habitat also serves the up-and-coming wellness needs of the hospital, hotel, office and multifamily industries. These features can help guests quickly overcome jet lag or help with hospital air quality. Of course, many occupants of high-rises or other residential developments are interested in being as healthy as possible as well. As millennial-inspired ideas of work-life balance spread though the marketplace, that trend will alter corporate culture, particularly as millennials begin to take over in executive positions and ownership, according to Kirk. "It seems like LEED and sustainability has become more mainstream," Hubka said. "The next wave of what's to come is the people." This past weekend, while many of us were at home trimming our trees and decking the halls, some of our Fortunato Construction group family was out running for a cause. Don Lenihan and Nick Chmura joined Deanna Scozzari in Westport, CT at the 2016 Jingle Bell Run for the Arthritis Foundation. Their team of 29 runners, Run Run Reindeer!, raised just under two thousand dollars at the festive event. Participants ran a 5k and spent the day celebrating the awareness and money they raised for the Arthritis Foundation - over thirty seven thousand dollars! 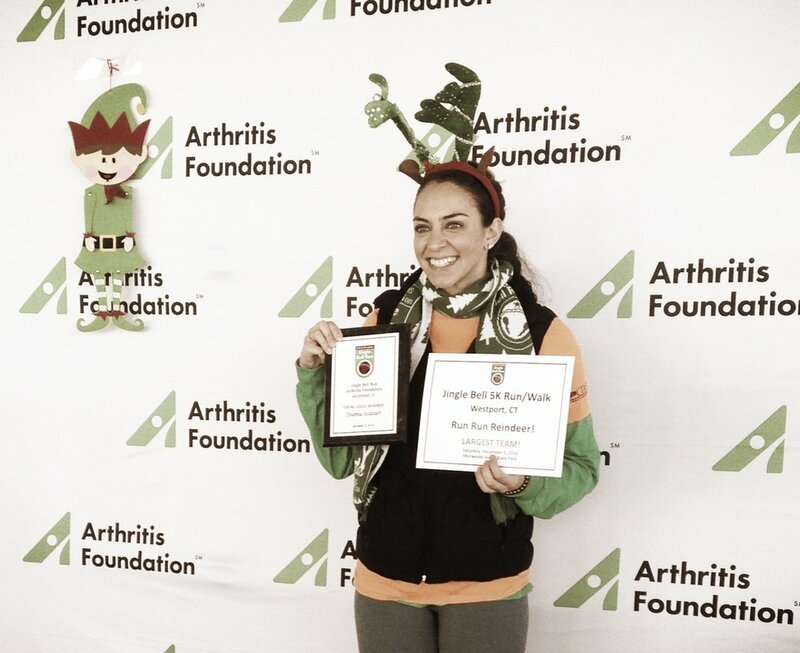 Fortunato Construction Group is proud to have sponsored Honoree Deanna and her commitment to helping others overcome some of the difficulties an arthritis diagnosis can present. We'd like to congratulate our runners Don (25:48) and Nick (25:58) for a race well run. Good work Reindeer! Tagged: Arthritis Foundation, FCG Gives Back, Fortunato Construction Group, 5k, Don Lenihan, Deanna Scozzari, Run Run Reindeer! Fortunato Construction Group just completed work at the new premier pizzeria in West Hartford, Connecticut: Savoy. The newest addition to the Max Restaurant Group promises southern Italian cuisine, Neapolitan style pizza, and creative new craft cocktails. We can't wait to indulge! Are you a project manger, estimator, field superintendent, or administrative assistant looking to join a great team? Fortunato Construction Group is looking for you! Please visit our Careers page to learn more about the positions available and apply. We can't wait to hear from you! The project team of Rich Fortunato and Jon Gombotz recently completed a major renovation project at Saint Mary's Urgent Care and Primary Care facilities in Cheshire, Connecticut. This week, Fortunato Construction was awarded the construction of the new Carter Chevrolet Dealership in Vernon, Connecticut. This project will be a new ground up facility to house the relocated dealer. This project is on a design build track, and includes a Butler building, and all other trades. Work will begin this month, with an expected completion in approximately one year. This project will be managed by Bob Piazza. Steve Kravitz will develop the Butler design. Kyle Aivano will be the assistant project manager. Bill Roy will lead the project from the Field.